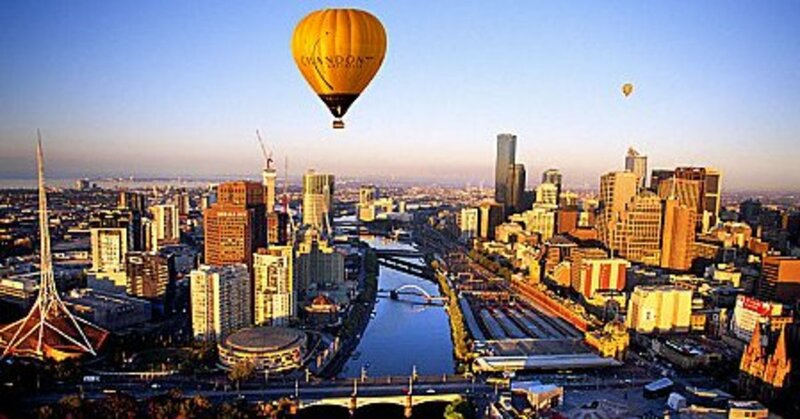 Melbourne is one of the most expensive cities in the world but with these tips you’ll be able to enjoy the best that it has to offer for free! If you enjoy this hub please visit my blog Day Jaunts. 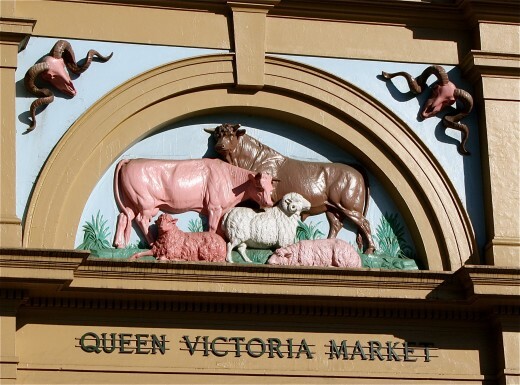 You'll find plenty more tips on things to see and do in Melbourne and around the state of Victoria. 1. Step back in time with a visit to the Royal Arcade. Back in the days before paved roads, when horse and cart were the only mode of transport Melbourne’s arcades offered a welcomed reprieve from the dusty and often smelly city. This is where Melbourne’s upper classes came to be seen. 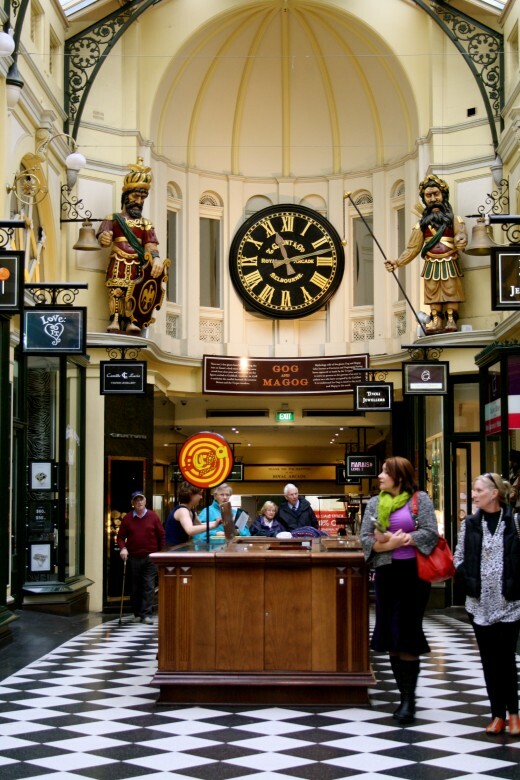 The Royal Arcade opened in 1870 and is still filled with intriguing specialty shops. At the end of the arcade stand the mythical beings Gog and Magog who strike chimes on ‘Gaunt’s Clock’ every hour, on the hour. The National Gallery of Victoria is located on the south side of the Yarra River on St Kilda Road. Its permanent collection is free to the public and is open 10am to 5pm (closed Tuesdays). Not to be missed is the Australian landscape painting in 3 panels The Pioneer by Frederick McCubbin. Art in Melbourne is not just confined to galleries. Walk many of the back lanes of Melbourne and you’ll see modern stencil and graffiti art everywhere. 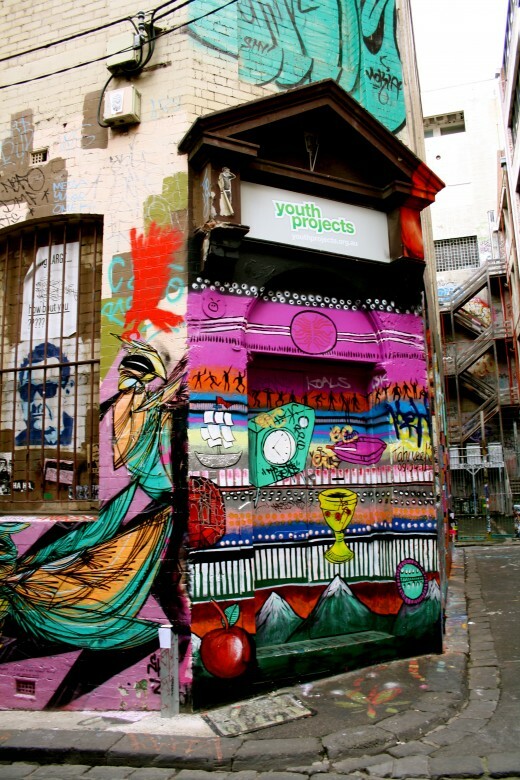 The best known spot for laneway art is Hosier Lane near Federation Square. The display is constantly changing and because it’s a public space it is open all hours. The Bourke Street Mall is between Elizabeth and Swanston Streets and often has buskers performing. An audition process is followed to get a permit to busk in the Melbourne CBD so many of the acts are of a high quality. The Victorian Parliament House is at the top end of Collins St. Construction began in 1856 and the final vision of its architect Peter Kerr is still technically incomplete. Australian Federal Parliament was held in the building between 1901 and 1927. Free tours of the building operate Monday to Friday when the parliament is not sitting. When the parliament is sitting the action can be viewed in both houses from the public galleries. A great way to get around Melbourne for free is to take the City Circle Tram. These trams are renovated historic W-Class trams which run loops of the city centre, travelling both clockwise and anticlockwise about every 12 minutes. It takes less than an hour to complete a loop. The Shrine of Remembrance is on St Kilda Road, within walking distance of the CBD. Building of the Shrine, in memory of those who served in the Great War (now known as World War I) started in 1928 and was completed in 1934. It was constructed in such a way that at 11am on the 11th of November every year a beam of light falls on the stone of remembrance and illumines the word ‘love’ to commemorate the signing of the treaty of Versailles and the end of World War I. This experience is replicated with an electric light every half hour for visitors during the rest of the year. Also on the south side of the Yarra River are the Melbourne Royal Botanical Gardens. 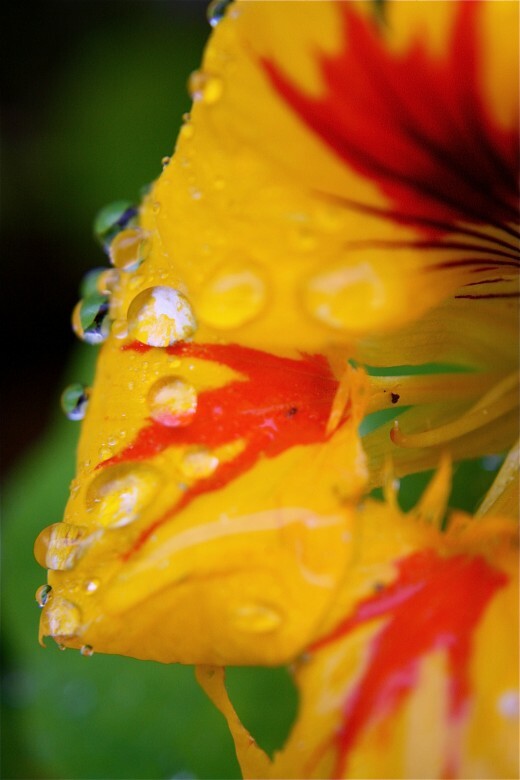 An oasis in a city the gardens boast over 50,000 plants and stretches over 36 hectares. Free tours of the Gardens, starting at the Visitor Centre, are held Tuesday to Sunday throughout the year. Federation Square (or Fed Square to the locals) is a central meeting point in Melbourne, located across the road from the main train station Flinders Street. While there are plenty of pricey eating and drinking options in the square there are also often free events held in the square. This is the place to come when Australia is playing in any international sporting contest to soak up the essence of sports mad Melbourne. Events are shown on the big screen TV for all to see for free. The Tourist Shuttle Bus is a free service provided by the Melbourne City Council. The hop on, hop off style tour takes a large loop around the CBD and includes the following sites The Shrine of Remembrance, Southbank, Docklands, The Melbourne Museum, the Queen Victoria Market and Chinatown. The driver gives a short commentary as the bus makes its one and a half hour round trip and buses run every half hour. Just up on at the sign posted bus stops. Thanks for commenting. There are a lot more free or very cheap things to do in Melbourne or around Victoria. It makes a great holiday destination. Voted up and interesting! Nice photos! You've made me want to learn more about Melbourne.